Bored at Walt Disney World!!!!! For real did he just say that?!?! Yes it is possible that some will get bored of It’s a Small World’s top 40 song, and could care less that they opened a new bathroom in the American Pavilion at EPCOT! (Yes the bathroom is beautiful, spacious, and is my choice for nicest bathroom in the parks but hey that is another article right!) I know it is taboo to say but some people loose the magic for whatever reason. I want to share some of the things that Walt Disney World offers to help put some pixie dust back into your vacation! 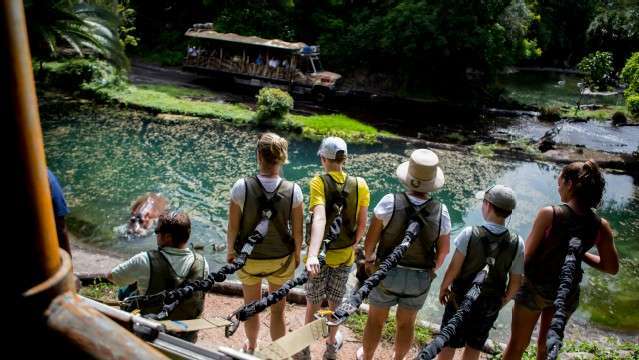 Take off on a Wild African Adventure at Walt Disney’s Animal Kingdom- Wild Africa Trek helps guests wanting to venture off the beaten path at Disney’s Animal Kingdom have the chance during a new, immersive, add-on experience, Wild Africa Trek, that takes a small group of adventurers on personalized, guided excursions that include a bushwalk through unexplored areas of the forest along with over-landing in customized vehicles across an animal-filled savanna. On these expert-led treks, extended time is spent observing and learning about the wildlife. Reservations for Wild Africa Trek (ages 8 and up) can be arranged by calling 407/939-8687. The experience starts at $189 per person. More information: Disneyworld.com/disneyafricatrek. Orlando Fun and Food will be going to experience Wild Africa Trek in the near future and will have a full review coming soon!